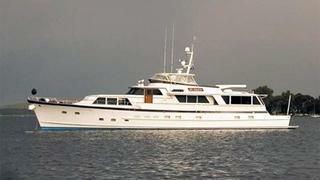 News just in from John Todd at Burger Yacht Sales that he's listed the 28m flybridge motor yacht Go Fourth for sale. Built in Burger's classic style in 1978, she accommodates six guests in three staterooms and twin Detroit Diesel engines give her a cruising speed of 12 knots. Her traditional profile together with Burger’s customary teak trim and railings makes Go Fourth one of the most appealing designs on the waterfront. Lying in Delray Beach, Florida, Go Fourth is asking $1,195,000.